There are currently, 285 guest(s) and 0 member(s) that are online. These are some of the most frequently asked questions, that tend to be answered individually, all over the forums, so please check this thread before posting. Q. Where Do Save The Void Mod? A. Simply click the link on the main page of the website, and when prompted to, click Save. Select your desktop as the save location, or any place on your harddrive that you will remember and is easy to access. Q. How Do I Install The Void Mod? A. For this you must have the FLMM (Freelancer MOD Manager) installed correctly (download available on the main page of the Void website). Simply located your Void Mod File (.flmod) and double left mouse click. Wait a few seconds and the MOD will begin to extract itself, once done you will be presented with a message telling you that it has been extracted, click OK, and the Mod Manager will open. Simply double left click the MOD, which will activate itself, then you are ready to go. Q. I Am Told There Is A Password For The Server, What Is It? A. The password for the server is kept in a thread which is accessible from a link on the main page of the Void website, located near the Mod download. Simply check this thread for the password. Please do not ask for the password on the forums, as the password has it's own thread, and player swill not post the password elsewhere, you will simply be directed to the thread mentioned. Q. Am I Banned From The Server? A. This is a very common question, If you believe that you are banned, i.e. are not allowed access to the server, and were kicked, please take these steps. PM one of the admin team, stating your character names, why you think you might be banned, and what trouble you are having. The admin will then message you back, and attempt to resolve your problem as best they can. Please do not continue to PM the admin as they will deal with you, as quickly as possible. Also remember to check the 'Player Bans' Forum, as if you are banned, your name will be posted there with a reason for your banning. Q. Why Aren't There Any Servers In The Server List? A. The global server occassionally has trouble, and experiences difficulty. In times like this, there is a simple solution to connect the The Void. Simply go to the main page of the website, and scroll down a small way until you see the 'Direct Connect' button. Simply click this, and download the direct connect file. Save this to your desktop, and then simply use this everytime you want to connect to The Void. As this is a direct connection, you will be able to see the Void Server in the LAN server list. Q. When I Access The Character Select Page, I Am Told That My Connection To The Server Is Lost... This Happens Repeatedly, Everytime I Try, What Do I Do? A. Try De-Activating and then Re-Activating the MOD. If you still reveive the same problem again, try De-Activating and then Re-Activating the MOD a few more times. If you still have the same problem, please PM an admin, and then await their reply. Q. I Am Trying To Activate The MOD, But I Am Granted With Error Messages... I Am Running Windows 98, Could This Be The Problem? The mod works on all specs as per FL. Deleting these two files should fix your problem..
DONT FORGET TO ALSO DELETE IT IN THE MOD FOLDER, OTHERWISE WHEN YOU REACTIVATE THE MOD THE SAME PROBLEM WILL HAPPEN. Q. When I Run Freelancer With The Void 2112 MOD Activated, I Am Presented With A Black DOS Window, What Do I Do? A. This is a 'Preloader Screen' which will usually state: '1 file(s) Copied' Twice. Please allow this screen to run, and Freelancer should load shortly after. Please allow time for this to complete it's task, if inactivity sets in, and Freelancer does not load, please contact an admin, and await a response. Q. The MOD Won't Download When I Click The Download Link, What Shall I Do? A. Simply try using one of the other mirrors, to download the MOD. If you have no luck with these, please wait some time for the download mirrors, to fix any problems that the website might be having, and then try again. Error: FLMM has determined that 'The Void: 2112 A New Dawn' won't properly activate. This happens when you deactive the new void mod and activate another one. 1. remove the freelancer game properly via the conntrol panel and reinstall the freelancer game. If you dont uninstall properly theres a good chance old files will be left and this wont work. Remember, if your Freelancer is installed in another place (different drive) please edit the file path accordingly. Q. How Do I Know Whether I Have A Problem With Freelancer Or The Void MOD? If you can launch and fly in space for 5 minutes on the other server than you don't have a problem with the original Freelancer Game. If thats the case then you have a problem with the mod, in which case you will need to follow the instructions on the home page - top right. Q. I Have Lost My Multiplayer ID, Could An Admin Please Tell Me It? Q. I Have Witnessed Another Player From The Server Cheating, What Should I Do? A. First of all, you must make sure that you have sufficient proof that this player was cheating, for example screenshots, to make a complaint. If you feel that you have proof, please do not post the screens on the forums, or create a topic concerning this. This is not a public matter, it is merely a matter for the admins to deal with. So, please PM an admin (including screenshots) and await their response, if the player is deserving of punishment, then the admins, will deal with this. Remember, the Admin Team are very busy running the server, so please do not continually PM them, they will get to you as soon as possible. Q. How Do I Become An Admin? Q. How Do I Become Part Of The Event Team? 1. Scroll down to the bottom of the forums and look at the 'Events' section. There is an 'Applications' forum, where you can post you can apply. Please remember to read the guidelines posted there before applying. 2. PM one of the event masters, who are currently DarkKnight-Guide and FIREFOX. Q. While I Was Transporting Weapons On My Character, I Was Attacked And Killed... Is It Possible To Get My Weapons Back, Or The Money From My Killer? A. There is no rule broken here, unless you were under rank 20. If you were under rank 20, please report this to a member of the admin team, to be dealt with. Otherwise, you were simply unlucky to be carrying guns whilst you were attacked. This is not an issue for any Guard or Admin. The skull next to the server in the global list means that other players can legally kill and damage you on this server. Q. I Was Fighting A Player, And They Regenned During Combat, Can I Or The Admins Do Anything To Stop Them Doing This? Regening is generaly frowned upon, mostly because it has the result that fights between better players can literaly take hours, and most of us have other things to do than taking THAT long for a fight. If you shoot on a player, whether they fight back or not it's player vs player (you vs them). The "PvP" in the server rules, although often misunderstood, generally applies to PvP/Duelling/Etc - it's the same thing. The only difference between "PvP" and "Duel" is that "Duel" is seen as agreed upon PvP (As mentioned by Becker). In point of fact however, many people will say "becker, pvp?". One of the biggest problems regarding 'regens' etc is that alot of new players that use them in combat, don't read the forums or skim over the rules quickly - wanting to get on with playing the game. The situation around 'regens' is actually in the rules as a guideline, not a rule. When undertaking a PvP, ensure you clarify and confirm if â€œreloadingâ€�, or using â€œbots and batsâ€� is allowed, prior to the fight. This will stop bad feeling from players who never reload or do not expect the opponent to reload. "I can only show you the door, you're the one that has to walk through it"
Q. How Do I Start A Clan? Q. Can I Use My Characters From Void On Other Freelancer Servers? A. You cannot use the same character data, no. The characters you create are created on the Void Server, they are not transferrable to other servers. This counts for money, weapons, and all other items. You can however create characters on other servers, with the same names, but all characters you create on a server, and strictly to be used there. Q. How Do I Donate To The Void? Q. How Do I PM An Admin? A. The list of Admins and Guards is on the main page of The Void website. Simply scroll down to the bottom of the main page, and look to your right. By clicking the member of Staff's name, you will be directly sent to a PM box, to that person. You can also find their name whilst browing the forums and clicking 'PM' underneath their signature. Q. Is There Any Way I Can Contact An Admin Directly When They Are Not On The Forums Or On The Server? A. Yes, you can find many players and admins on the Void Teamspeak. All the info you need is on the main page of the website, simply scroll down the main page, and look for the teamspeak server information. Q. I See Many Clan Forums, And Many Clans Flying In Space, But Where Can I find Out More About These Clans In Detail? These are the most frequently asked multiplayer releated questions, which I have compiled into this handy guide, to help sort your multiplayer (MP) troubles. Playing online, means playing on a hosted server, with real people from around the globe. 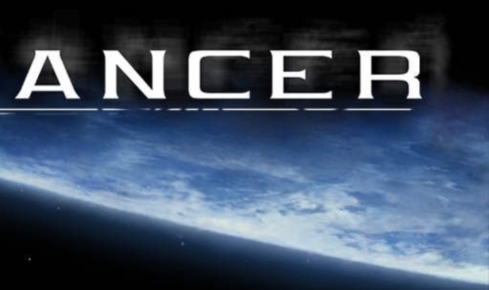 Everyone playing Freelancer online, must either connect to a server, or host their own, but if you are new to MP, that's a long time away for now. There are thousands of hosted servers, and you are able to connect to all public released servers. Some servers may be setup for private use, and therefore may be password protected or monitored. Your stats are tracked on these servers and you are able to fully interact with other players, playing ovr an internet connection, to expand on the singleplayer (SP) mode. Playing Online is simple, you must first need to have an internet connection. You will also need to have Freelancer installed on your computer. One other program that you will need is the FLMM or Freelancer Mod Manager, but I will come onto this later. 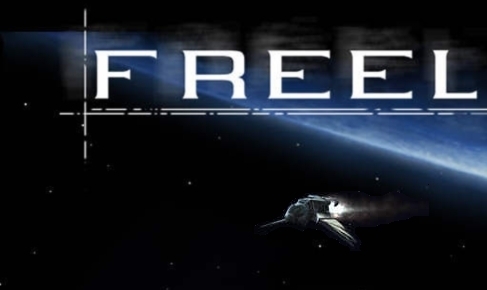 Freelancer is also free to play online, unlike some other games. Once you load freelancer, you simply select the 'Multiplayer' option, instead of the original 'Singleplayer' option which you may be used to using. From here you are presented with 2 options, LAN or Intrenet. To play on a LAN server (local area network), you must be networking with another computer, but for now we will concentrate of online multiplayer, so select 'Internet'. You will now have to agree to the ESRB rating screen, simply stating that the ESRB rating can change during online play. Simply 'OK' this. You will now be presented with the 'Global Server' screen. You will currently be connecting to the global server, so make sure that if a firewall box pops up, you need to allow this, or you will be unable to play online. Once connected, you will be shown a server list. A list of all available servers will appear, and you can cimply select from here where you would like to play. What Do All These Different Icons/Fields Mean On The Server Select Screen? Padlock: This means that the server is password protected, and you will only be able to connect with the correct one. These servers are generally there for private use, or MOD testing purposes. Skull: This means that player damage is 'Enabled', meaning that other players can damage/kill you and you can do the same. Ping: Pinging refers to how long it takes (in milliseconds) for your computer to connect to send and receive a response from the server. A high ping, means that you have a received a slow response from the server, and a low ping means that you reveived a fast response from the server, making your connection faster and more stable. Versions: The server 'Version' generally releates to the MOD being used on that server, whether it is a server-side mod (only run by the server admin), or a client mod (run by the client, you). Can I Filter And Sort The Servers? Yes you can simply use the 'Filter' option to filter out any server properties. To sort the servers, clikc the column heading, which will sort the servers from that field first. Why Can't I Connect To The Global Server? The global server may sometimes go offline, so you must use direct connect to connect to the desired server. I have already explained how to direct connect to The Void in 'The Void Mod, Server & Freelancer FAQ'. How Are My Characters And Stats Stored Online? If I Need To Re-Install Freelancer, Will I Be Able To Get My Characters Back? Yes you will, aslong as you have followed the steps above, and have your MPID stored in a safe place, either a printed copy, saved copy, or hand-written copy. As long as you still have this, you will have access to all your characters and information. The Server I Want To Play On Says I Need A Mod, What Do I Do? I Think I've Been Banned From A Server, What Do I Do? This is an issue for the server's Admin team, simply use their website/forums, to PM (Private Message) an admin, and they will be bale to either give you a reason why you were banned, or unban you. Thanks for reading and I hope I could help sort any trouble that you are having with The Void Mod or Freelancer. If you would like to give feedback, please post your comments here... If you would like to recommend any additions to this guide, please PM them to me. Namonaki Has Left The Void! Thanks Gav, and may I take this time to thank the admins for making this an 'Announcement'! I have added a multiplayer FAQ to this guide! Im trying to condense all the FAQ's so we can get the FAQ facility up on the site as well. Btw Nam wheres your Avatar and Sig?? Drag the downloaded Mod file into FLMM's Mod window and Drop. It will then Install. BUMP, cos the Marauders have had encounters recently with some peeps ignoring the rules (I'm actually scouring these pages for something else but thought this could do with being back up there). I will be setting up a 'New Players Guide & FAQ' shortly, this will prove handy.